A unique yet simple portfolio website design for a unique photographer. Kameron is our all-time best selling WordPress themes, and it’s easy to see why. 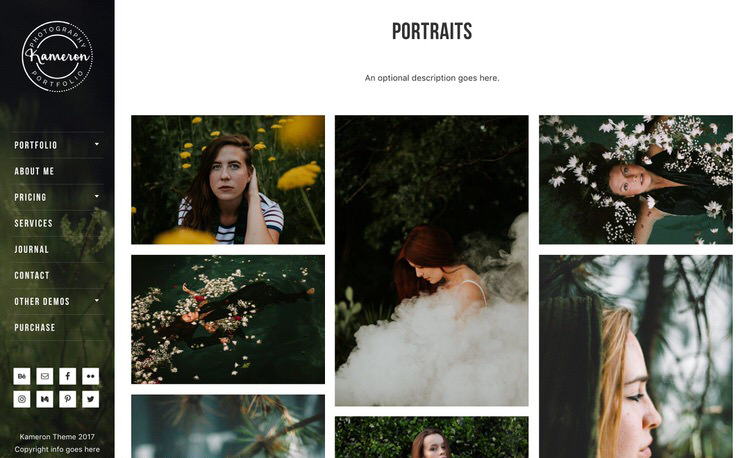 It is highly customizable yet easy to use, fast loading and beautifully designed photography WordPress theme. 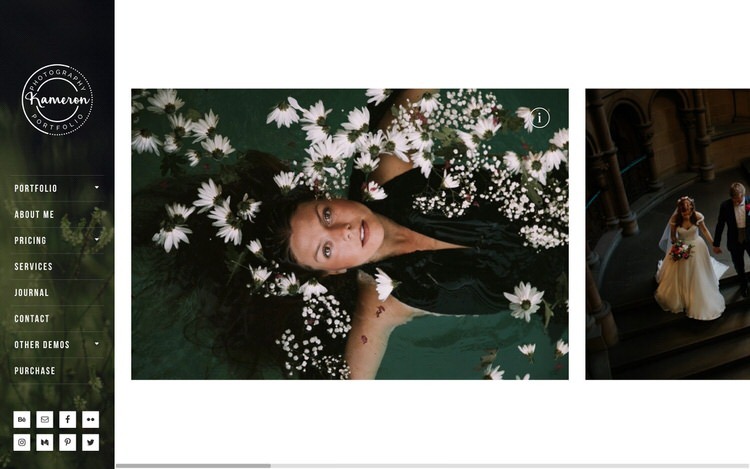 Kameron photography portfolio theme comes with multiple unique features. Kameron menu area is located on the left side, freeing up the rest of the screen area for your work. 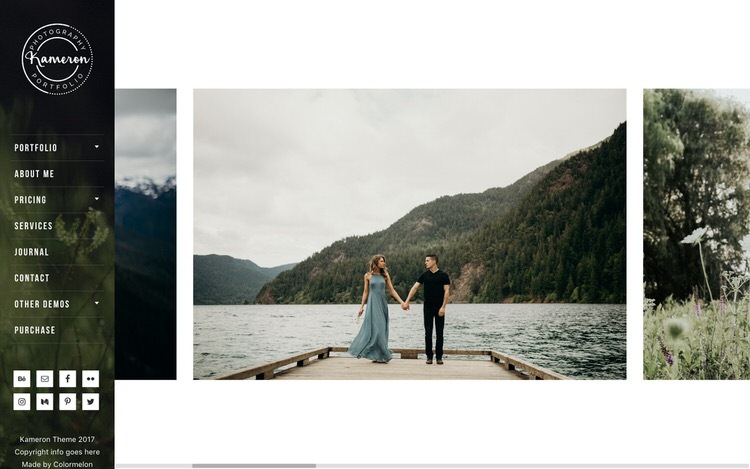 From menu background image option to fullscreen page backgrounds, you will be able to set the mood for your website easily, because your images are the key part of Kameron theme. 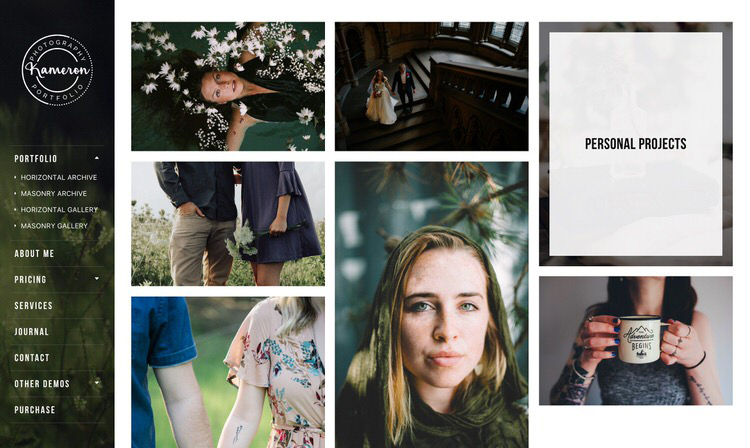 Kameron photography WordPress theme comes with two portfolio archive layouts – horizontal and vertical masonry, and two gallery layouts – horizontal and masonry. All galleries can be viewed in a fullscreen slider gallery as well. 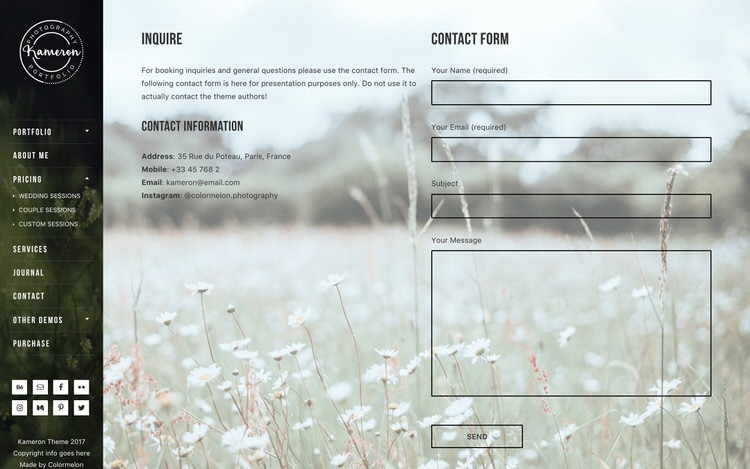 Enhance your user experience and add a bit of “wow” to your site by uploading beautiful fullscreen background images in your regular pages. 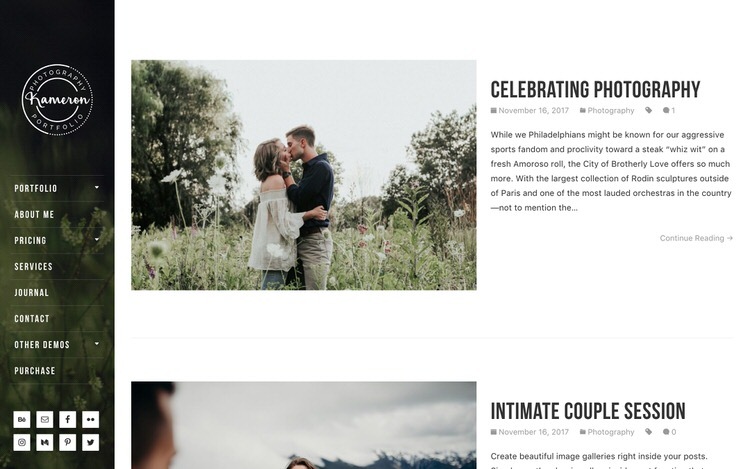 Create beautiful blog posts with Kameron theme and use them to tell in-depth stories about your photoshoots to your website visitors. 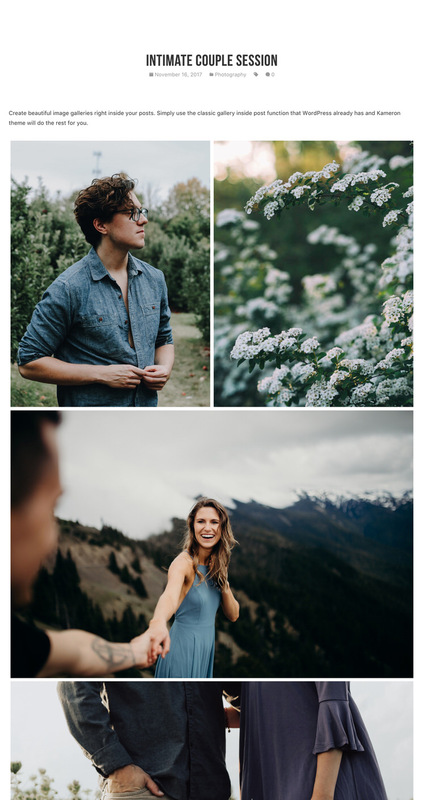 Kameron blog posts can be used to create beautiful image galleries as well. 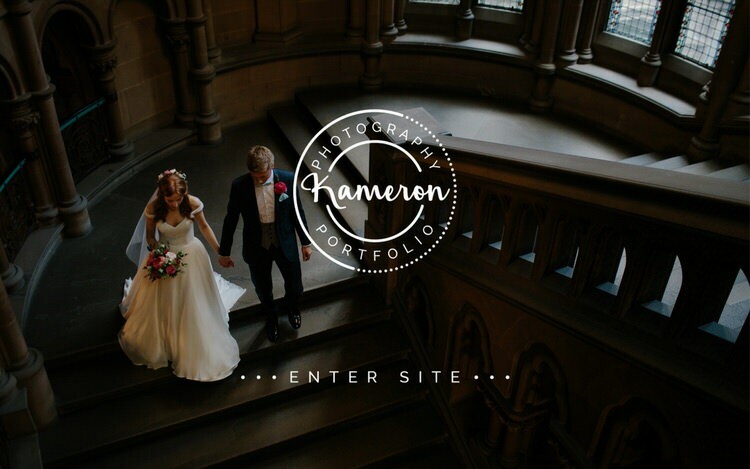 Check out Kameron Photography demo website right now!